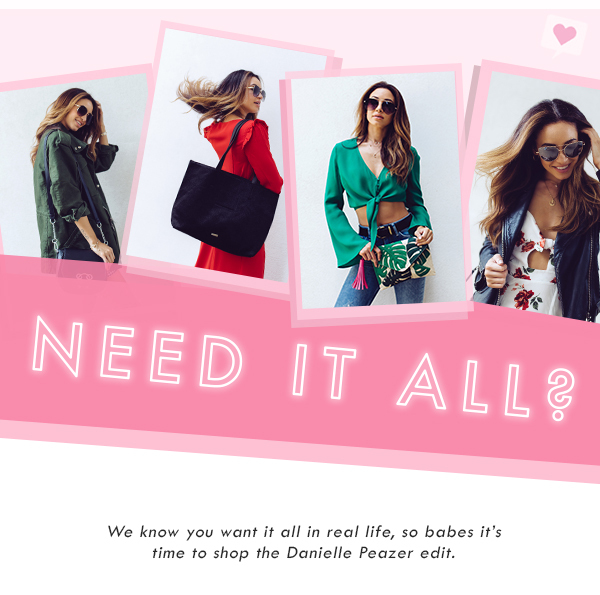 Danielle Peazer has teamed up with SkinnyDip London to showcase her top five hottest summer looks. Our favourite social media queen Danielle has created a look book full of SkinnyDip London’s must have items for the summer. Danielle Peazer has teamed up with SkinnyDip London to showcase her top five hottest summer looks in a new video and spoiler alert: they’re all stunning. Loving what you are seeing? You can shop the whole look book here. If you do, please let us know what you think. We already want to get our hands on everything. One of the things we love most about SkinnyDip London is students can get a 20% discount. All you have to do is verify your student status with UNiDAYS. We love a cherry on top of the sundae! Which look of Danielle’s looks do you love the most? Let us know over on Twitter @Fuzzable, because we would love to know all of your thoughts and opinions!